I am going to try to use baby steps with you. 1/ The layers: There is no way to know when the bones fell in the dirt and the igneous rock came first millions of years earlier and the dirt that covered it was later applied from wind and rain as is often the case or it fell into a mud hole on TOP of the old igneous rock layer from volcanoes. 2/ They go as far as 100 to 300 feet or more from the dig to find something to date and that is nowhere near the site of the fossil and they make sure they find something old enough to fit with the theory. That is false evidence. 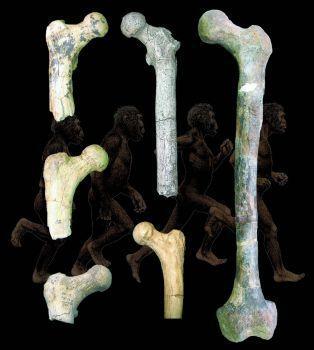 We have 6.1 million year old upright walking humans dated with this system. The fellow who found this fossil was almost destroyed, but he was an accredited PhD paleontologist. If he had not publicized his data first, or was from the UK, Australia his data would have been destroyed. There was no skull found but there were some teeth that showed stronger more fit condition for eating more crude foods. These jerks take the photo of the bones and put them on top of a cartoon creature with a caved in skull and make an ape man standing behind the fossils. 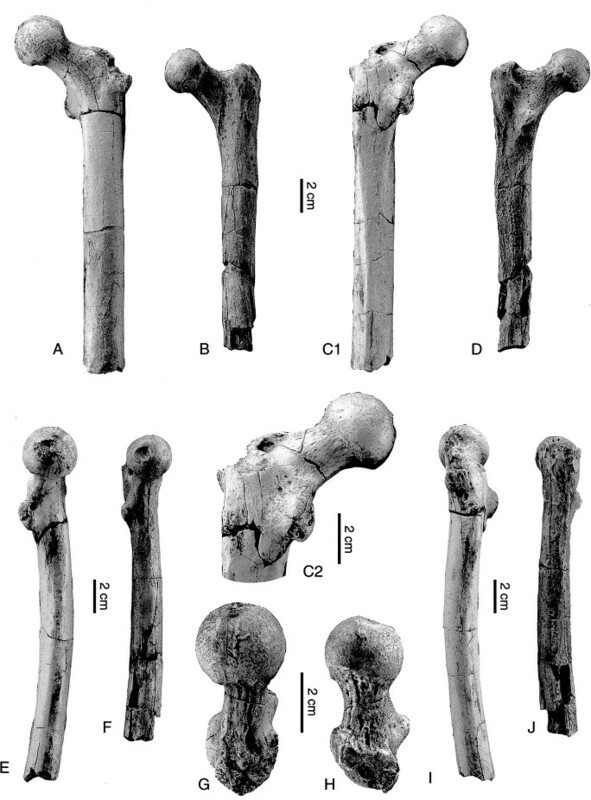 If you look at the fossils it shows a much thicker and better shaped femur with straight bones, and the angle of the ball is perfect to modern humans. You can take a modern femur and put it next to it and the old femur looks a lot stronger. The knee joint is also shown. It is much thicker and better made for harsher living. The Evotards did all the could to stop this evidence from becoming "accredited", but they could not, because the dig and dating was verified and so we can see an ancestor who was much stronger. The Herto is said to be 160,000 years old but it has a much better shaped skull without the brow depressions we see on modern humans and apes. 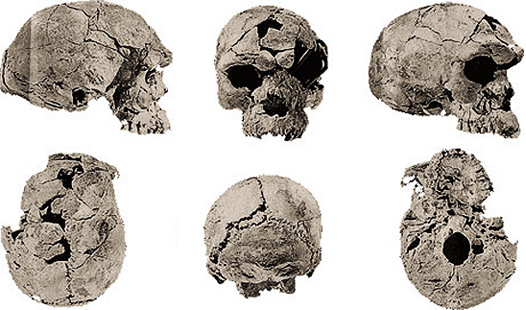 The more degraded we become the more the skull depresses and the "brow line" is shown. It's skull capacity is 1450 CC and the average today is 1350 CC. So the brain cavity is better shaped and larger. You never have these specimens discussed in any classroom because I have had this discussion with about 1000 students in the last 5 years, and they did not know they existed. Why? You can see how these religious believers put a cartoon of some "ape man" behind the bones in this photo. Keep in mind there was no skull, and this sort of fraud is done all the time.